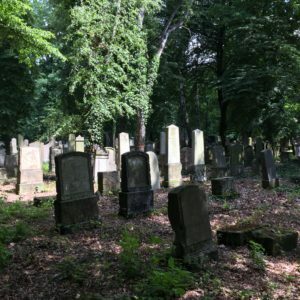 Throughout the last week, I have had the privilege of helping to restore the new Jewish Cemetery in Wroclaw on Lotnicza Street. This is a site tied both to the legacy of German-Jewish community of Breslau and today’s Polish-Jewish community. This cemetery is more than one hundred years old and was in rough condition before Piotr Gotowicki took it over a few years ago. Reflecting back on my experience it was quite shocking to see how much work has been put into it in just a small amount of time. A cemetery that was once covered with tall grass and destroyed tombstones is now for the most part easily walkable and more visually appealing. It’s upsetting to find out that beforehand thieves were stealing the plaques from the tombstones and opening graves to steal anything of value, even gold teeth from corpses. Graffiti was also present due to the cemetery lacking a wall for protection. However, the cemetery is now surrounded with a large wall and small barb wire is even present. While approaching the cemetery for the first time it was interesting to see the aging of the walls and large gates. I could also see gunshot holes on the outside walls. These holes were from World War II, and it gave me the opportunity to imagine the cemetery during that time. While walking through the cemetery a big focal point for me was a memorial designed by Paul Ehrlich commemorating the Jewish soldiers who were called to duty to fight for Germany during World War I. This stood out to me because it was in such a significant area. The memorial contains a plaque containing the names of 432 Jewish soldiers. Another area that stood out to me was the field of Jewish children. I felt uneasy studying the various tombstones marking the spots where young children were buried. My study abroad group was responsible for mapping out different fields in the cemetery. The process consisted of counting the graves in the order of burial, starting from the first number to the last. As we counted we would mark the conditions of the existing tombstones. These conditions consisted of fully preserved, partially preserved, and non-existent. We would note the first name, last name and if the tombstones had markings of German or Hebrew. Unfortunately, many tombstones were blank, due to erosion, destruction or thievery, leaving us unable to record a name. Our work was transferred from a clipboard to an excel sheet and we also provided a map of the layout of our field. It may seem like this was easy work, but it was not at all. It was very difficult to figure out the order of the burials. Some tombstones displayed hand-carved numbers corresponding to the order of burial in a field, which made it easier. However, many tombstones did not include a number, or a tombstone was not present at all. It took a lot of patience and thinking to figure out the correct order. The most frustrating moment came when we encountered four extra tombstones that did not fit into the original number system of the field. Luckily later we resolved this issue. I give a lot of credit to individuals who design and layout cemeteries, because it takes a lot of effort. I was fortunate enough to be able to work with my group in the field with the first burial of the cemetery. We learned so much about history just from simply looking at tombstones. One of the tombstones that stood out displayed the name “John Smith”, which was interesting because it is such a typical American name. According to Piotr, this person was most likely given the name “John Smith” due to a language barrier between him and the person in charge of registering new immigrants to America or the UK. John must have returned afterwards to Breslau and was buried under his original Hebrew name together with his new English-language identity. We were also interested in the first burial. The first person buried at the cemetery was Salomon Brann. Through discussions with Piotr, we could find out that Brann was the father of an accomplished local architect. 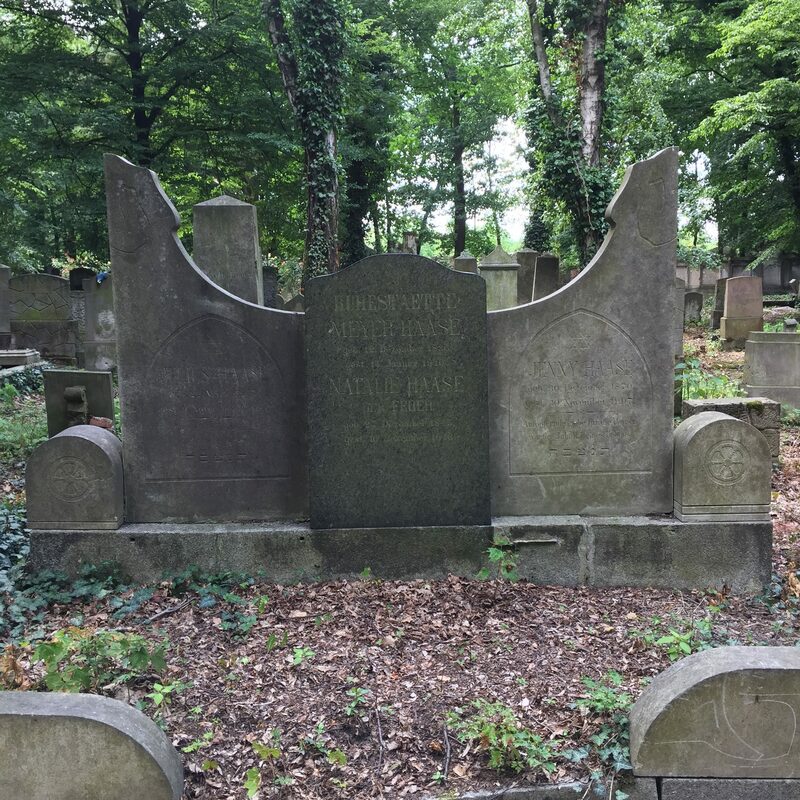 On a walk with a German volunteer from Action Reconciliation for Peace, I also found out that the Dorndorf family buried at the cemetery was famous for shoemaking. Just being able to find out background information about the different people buried at the cemetery was exciting. Before I visited the cemetery, I did not know what to expect. To be quite honest, finding out that I would be working at a cemetery for a week was not thrilling for me. I was more focused on wanting to explore more of the city of Wroclaw. However, my perspective changed instantly after my first visit and I realized that my aspect of dissatisfaction was pure selfishness. Looking back at my experience now it feels amazing and rewarding to be a part of something so significant. 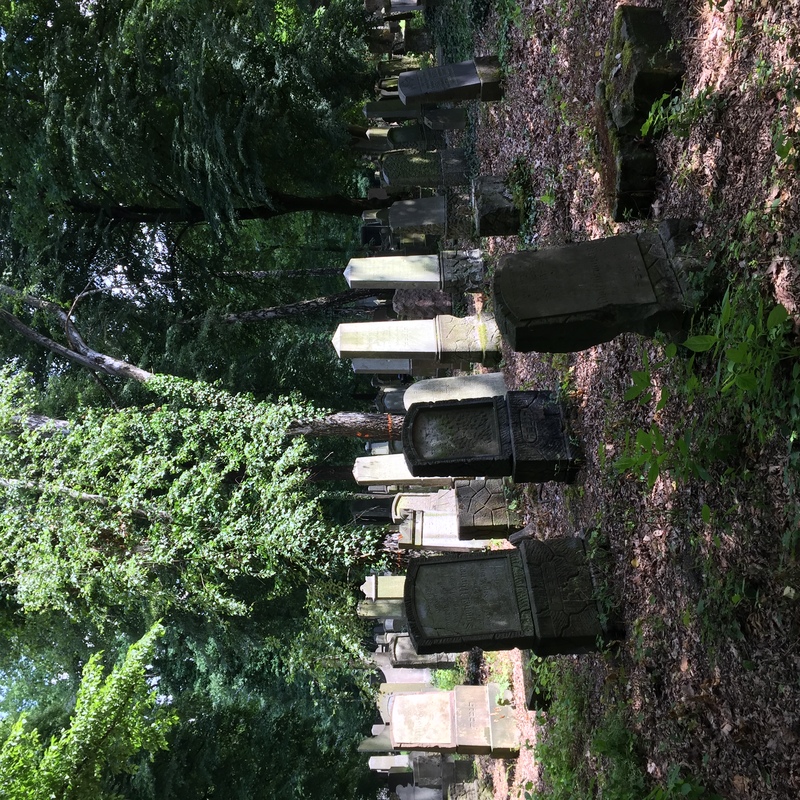 Overall my experience with service learning at the New Jewish Cemetery in Wroclaw was life changing. In the end, I wish I could continue with the restoration work.